Did you know that kites originated in Indonesia? 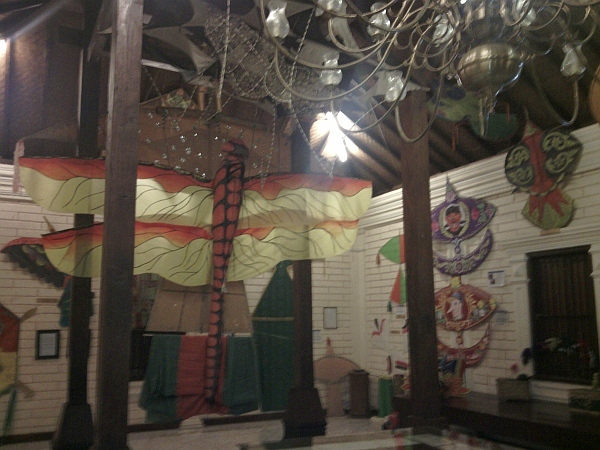 That is one of the things that I learned when I visited the Kite Museum in Jakarta, Indonesia. 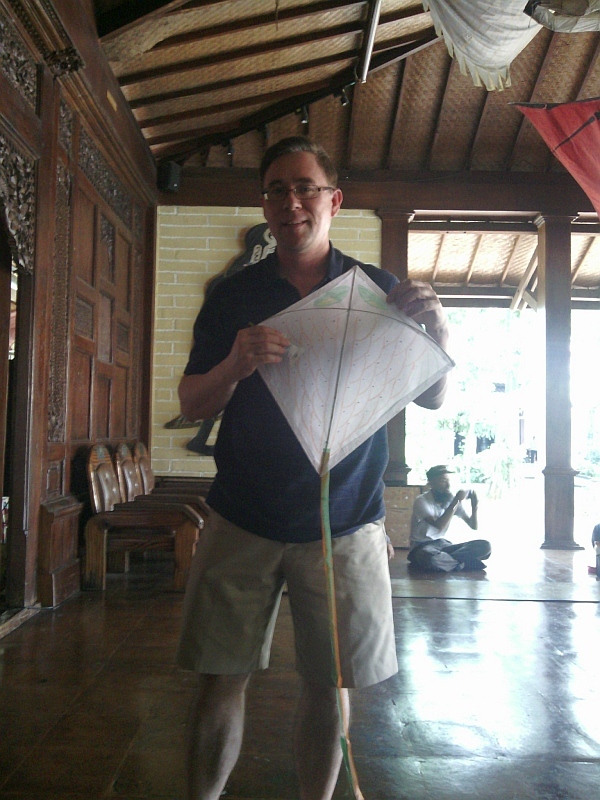 Kite in Indonesian is “layang-layang” BTW. 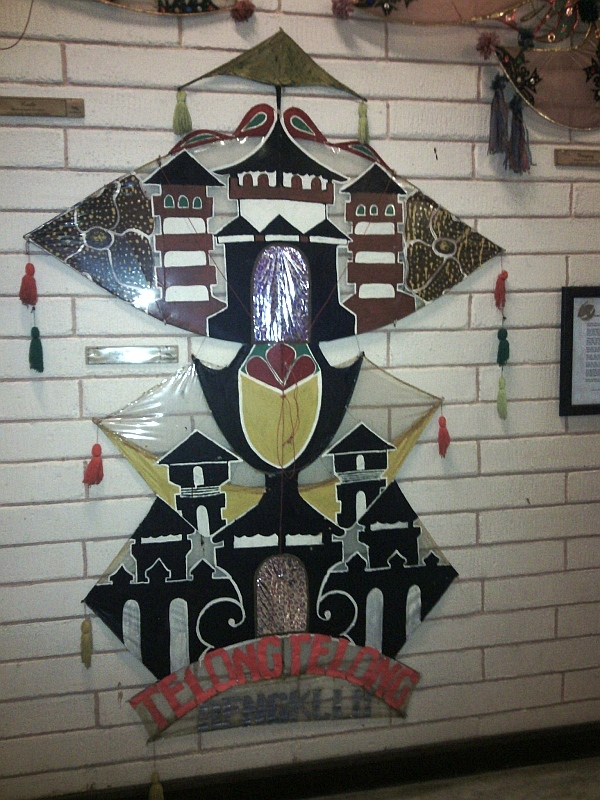 If you ask someone to go to the kite museum, use the word layang-layang. The museum is privately owned, and charges for admission, at a very reasonable rate. It is very family friendly. The kites to view are indoors, while the interactive, build-your-own-kite, is outside, on a patio with a roof. There were many families enjoying their weekend, the day that I arrived. Inside I saw that there were kites of many different designs. 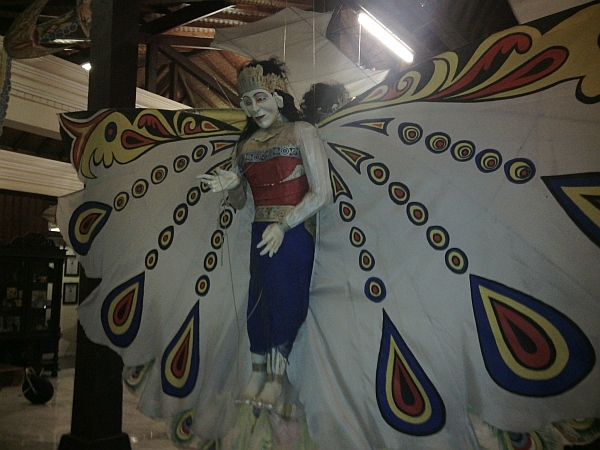 It appears that different regions of Indonesia have specific designs or styles that make them distinct. There are also many different sizes of kites. Some were the size of a large coin, while others the size of a large vehicle. When I normally think of a kit, I think of the simple diamond, or bat-shaped kite, that I flew on the breezy spring days in Canada. But as I saw in the kites on display, there were not only simple, flat kites, but also many 3 dimensional kites, representing, fish, people and animals. These kites must have taken many days to design and to build. After walking through, and being impressed, by the kite display, I sat in a darkened room, with other visitors, and watched a short video about Indonesian kites, and kite festivals. I saw that some of the larger kites, needed several people to launch the kite as well as it keep it in check while in the air. It was quite fascinating, and I thought would be a wonderful thing to see in North America (a kite festival). After looking at kites, and watching a video about kites, you get a chance to build your own kite! You are provided with the frame pre-built, make of thin lengths of bamboo, tied together. They provide you with paper cut to a slightly larger shape than the kite, a bottle of white glue, and crayons. You start off by applying glue to the frame and pressing it against the paper to initially glue it in place. You then start applying glue, by finger; no glue stick or brushes here. All part of the fun. Apply glue to one edge of the paper that extends beyond the frame, then fold it over. Repeat for the remaining edges. Once that is complete, it is time for you to show off your creativity by drawing some design on the side of the paper outside of the bamboo frame. Mine was a cross between a fish and a dragon. I did see others make drawings of flowers and other Indonesian designs on their kites. The kite was then finished off by a person who precisely measured string that extended from the left to right edges of the kite, as well as another string in the center. I proudly showed off my kite, but there was no room to fly it in the museum grounds. I did give my kite to a child to hopefully enjoy in an open outdoor space. 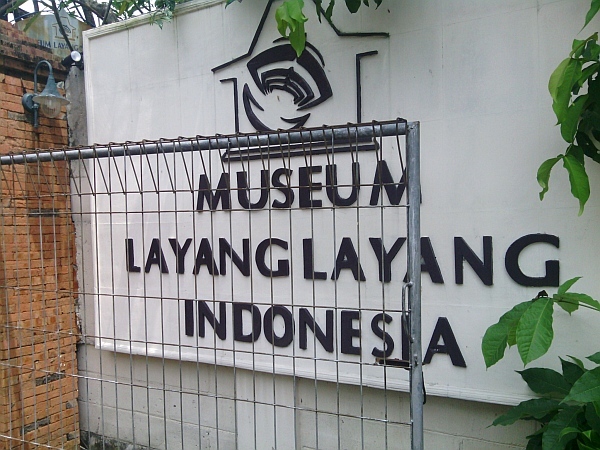 I really enjoyed the Layang-Layang Museum and recommend it if you want to enjoy an afternoon while on your trip to Jakarta. Here is TripAdvisors Review of the Kite Museum in Jakarta so you can get the address as well. We all worry about traveling with a bottle(s) of wine. If you are flying, will that bottle in your suitcase make it? If you are driving, will the bottle bump against something in your trunk and break? I thought I’d pass along 2 types of holders that I use for my wine bottles when I’m traveling. 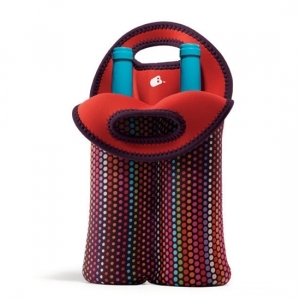 The first holder is a neoprene bag that is designed specifically to fit tightly around a single 750ml bottle of wine. You can get these bags for single bottles or two bottles. I have the two bottle version as I usually never travel with one bottle only. The neoprene case comes with a built-in handle so that you can carry it from your car to a party or wherever you are going. I usually use this type of carrier for car trips, or other short trips around town. If you have the 2 bottle case, laying this down in the trunk of your car, the bottles will not roll. The brand of my bottle holder is BUILT. I bought mine at Winners, but I’ve seen them being sold in many different stores. In case you want to buy online, here is the BUILT website. The other is a cardboard tube with a cap. This is also for a single 750ml wine bottle. Depending on the girth of the bottle, you may be able to fit some bubble pad around the bottle. I usually pack these for my more expensive bottles of wine that go inside the suitcase on a plane flight. After watching suitcases falling off conveyor belts or being handled roughly by baggage handlers, I think that this container is quite reasonable to choose. I purchased my cardboard tube wine holder at Michaels, but I’ve seen them at specialty houseware stores. On your flight back you have this holder to bring back wine from wherever you traveled, or a place to store fragile items. I hope you are able to make use of either of these peace of mind, wine holders. I know I’ll be using them this holiday season. Cheers! Wow, last night was fun. 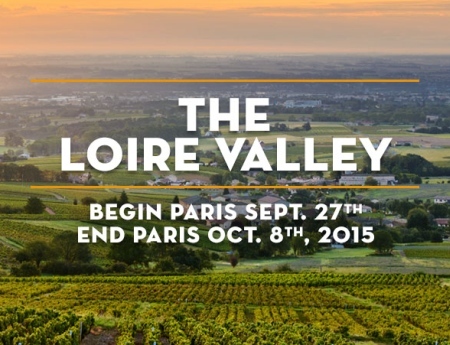 I spoke at the South World Wine Society’s “Planning a New Zealand Vacation” wine tasting. I shared the floor with a travel agent who gave the tour info about New Zealand. Now I really want to travel to New Zealand. It looks very beautiful. For me last evening, I took the attendees through 9 wines, 4 were white and the rest were red. It was quite interesting. Two of the whites were sauvignon blanc, and very good examples of the “green” type flavours you can get with this grape. The first wine had a lot of gooseberry aroma and flavour and the other lots of asparagus. On the red side, we were able to try a 9 year old bottle (2000 vintage) of Matiriki Quintology. It’s a Bordeaux blend, 40% Cabernet Sauvignon, 24% merlot, then smaller amounts of syrah, malbec and cabernet franc. I will make a full tasting report on the www.southworldwine.com website but it probably will take me a week. For those that have followed my blog on www.MyWinePal.com, welcome to my new blog site. The old site had a limitation on storage and I hit the limit. So what I am doing is porting over my existing blogs here, then will add to them with my latest wine adventures. For those that are new to the MyWinePal.com blog, welcome! I do enjoy travelling to wine regions of the world and telling people about them, as well as local wine happenings in Vancouver, BC, and general wine education. You will see in the upcoming blogs that I transfer about my trip to Burgundy and Alsace in France. Later this year you will read about my trip to Oregon and then about Chile. I do like answering people’s questions about wine, so do not hesitate to contact me.